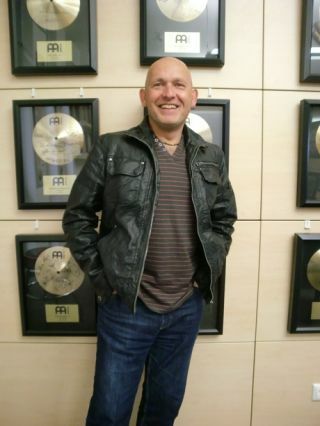 Drum Guru Martin Ranscombe is the latest artist to join the Meinl ranks. The tuning, teaching and clinician expert will now exclusively use the German firm's metals. "I have been looking at Meinl cymbals for some time now and realised that all the sounds that 'rattle around my head' can only be accommodated by the Meinl ranges," Ranscombe explained. "On top of that, Meinl are always innovative and have a wonderfully progressive approach to cymbal manufacturing and product development - something that is very attractive, particularly to anyone with a creative and perhaps, more unorthodox view of the music world!" The all-round drum maestro will now use Meinl Generation X, Byzance Traditional, Byzance Brilliant, Byzance Dark Series, and Byzance Vintage Series cymbals.